Whenever you shop for clothes you notice the rapid churn in clothing ranges available at very low prices – a trend in clothing retailing known as ‘fast fashion’. Fast fashion is defined as being low-cost clothing that is designed to mimic luxury clothing, manufactured on a fast-response system and encourages disposability (Joy et al. 2012, Fletcher 2008). The fast turnaround time of a mere few weeks of clothing being designed, produced and transported, is prominent across many high-street clothing stores e.g. H&M and Zara, with the benefit of heightened profits (Tokatli 2008). The ‘fast fashion’ problem is having serious impacts on the environment, these impacts do not align with new ‘green’ development strategies and policies introduced by the United Nations Environment Programme (UNEP), under the current policy ‘The Green Economy’ (Gibbs and O’Neil 2016). As ‘The Green Economy’ pushes for “low carbon, resource efficient, and socially inclusive [where] growth in income and employment should be driven by public and private investments that reduce carbon emissions and pollution, enhance energy and resource efficiency, and prevent the loss of biodiversity and ecosystem services” (UNEP 2011, 16). Thus, it is vital that ‘fast fashion’ brands step up and make their manufacturing greener, develop effective communication strategies which changes consumers perception about their clothing being ‘disposal’, alongside changing consumer mind-sets of demanding new trends every three weeks. To increase the longevity of your clothes, wash your clothes less. Also, use less detergent and cold water to further reduce the impact on the environment. Research by PhD candidate Rebecca Beech, has found that consumers are discussing alternative ways to shop, care and dispose of their clothing, within Twitter. In particular within sub-communities which have similar interests. 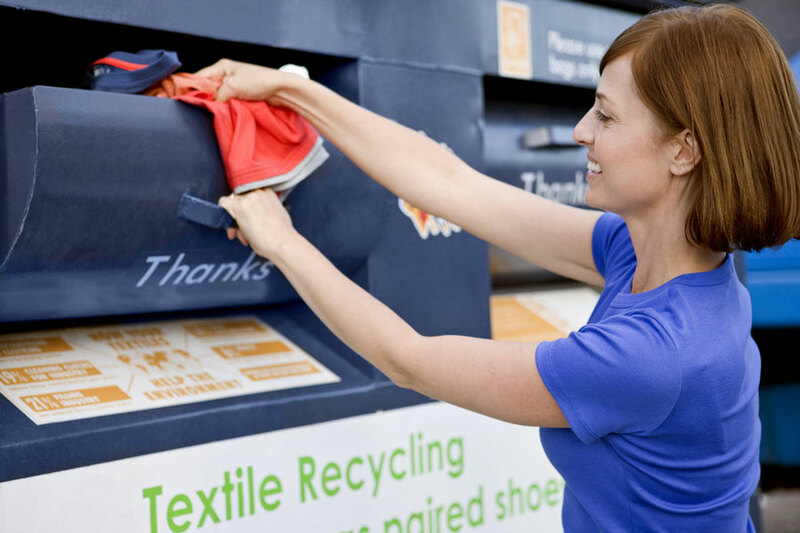 However, their motivations for changing their shopping/caring/disposal practices of clothing are not necessarily to reduce their environmental footprint. The research further sheds light upon anti-consumerism within online communities, which is magnified via the significant rise of consumer empowerment online. The research aims to explore consumers’ motivations to share knowledge about ‘green’ clothing, alternative shopping methods, and the inter-relationship between knowledge sharing, motivations and consumer empowerment. If you found this blog post interesting and have interests in my research area, please follow the links to my research profile *https://www.coventry.ac.uk/research/research-directories/researchers/rebecca-beech/* and follow me on LinkedIn *https://www.linkedin.com/in/rebecca-beech-3b165359/* and Twitter *RebeccaBeechCU*. Thank you for reading! Barnes, L. and G. Lea Greenwood (2006) Fast Fashioning the Supply Chain: Shaping the Research Agenda. Journal of Fashion Marketing and Management 10(3), 259-71. Fletcher, K (2008) Sustainable Fashion & Textiles: Design Journeys. Oxford: Earthscan. Gibbs, D. O’Neil, K. (2016) Future green economies and regional development: a research agenda. Regional studies, 51(1), 161-173. Joy, A., Sherry, J. F., Alladi Venkatesh, J., Wang, J., Chan, R. (2012) Fast Fashion, Sustainability, and the Ethical Appeal of Luxury Brands. Fashion Theory Volume 16, (3), 273–296. Tokatli, N. and O. Kizilgun (2009) From Manufacturing Garments for Ready to Wear to Designing Collections: Evidence from Turkey. Environment and Planning 41, 146-62.